Radicchio came to prominence with the pasta craze. It is a wild Italian chicory, related to the root chicories, and is enjoyed for its slightly bitter leaves. 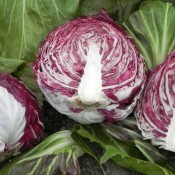 Red heads with white accents make radicchio an eye-catching crop. Chioggia types form rounded heads. Treviso radicchio looks like romaine lettuce, but it has pink-to-red leaves. The distinctive bitter taste is due to intybin which stimulates the appetite and digestive system. Radicchio’s bitterness mellows in cool conditions and its flavour is similar to that of escarole and Belgian endive. The key to growing radicchio is never allowing the soil to dry out, because moisture stress leads to bitter flavour. High in vitamin A and C as well as a good source of iron, potassium, folic acid, vitamin B6, and fiber. 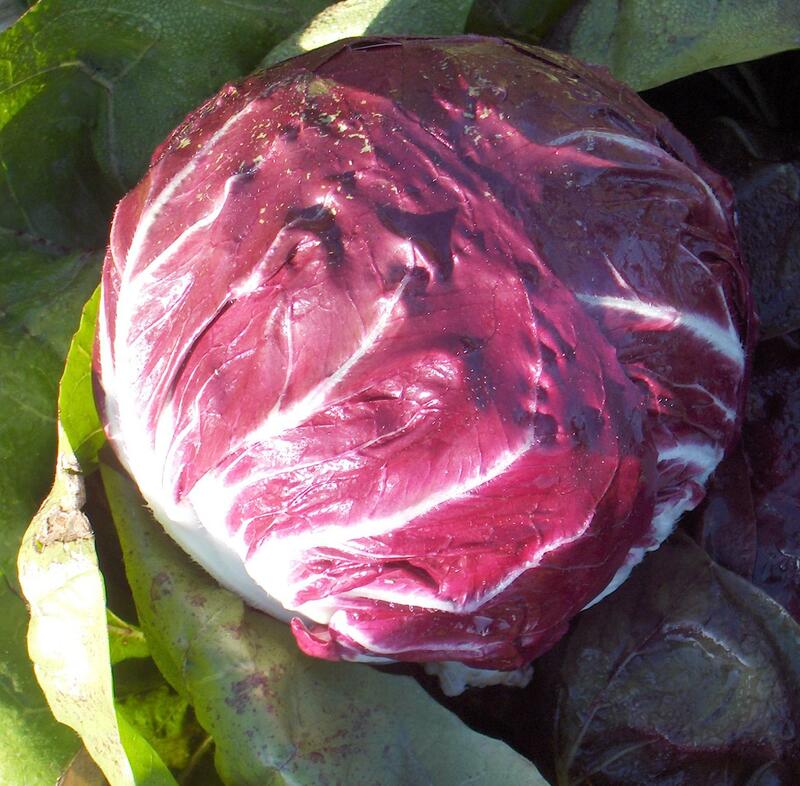 Radicchio is low in calories-about 2 calories per leaf. Radicchio heads may be ready as early as six weeks after transplanting. Squeeze the heads at the base; they are ready to be cut when firm. Store radicchio heads in a perforated plastic bag for up to three weeks in the refrigerator.